We are a group of lawyers who have high standards for excellence and a shared desire to serve our clients with strength and compassion. Since 1997, we have practiced in Northeast Seattle, serving clients throughout the Puget Sound region. Every client's legal needs are unique, and our firm strives to meet those needs with a reasoned and personal approach. We use our varied areas of expertise in a collaborative setting to secure positive results for our clients. Our attorneys value one another's perspectives and enjoy working together for our clients' benefit. 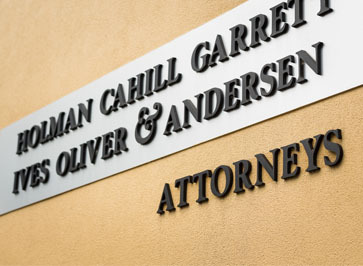 Our firm is friendly and approachable, while remaining competitive and well-respected in the legal community. We represent individuals, families, businesses, and nonprofit organizations on many general practice matters.